Esteban Santiago arrived at the Ted Stevens Anchorage International Airport Thursday evening more than four hours before his flight to Florida, bringing with him no baggage other than a handgun case, according to the chief of the airport's police and fire department. 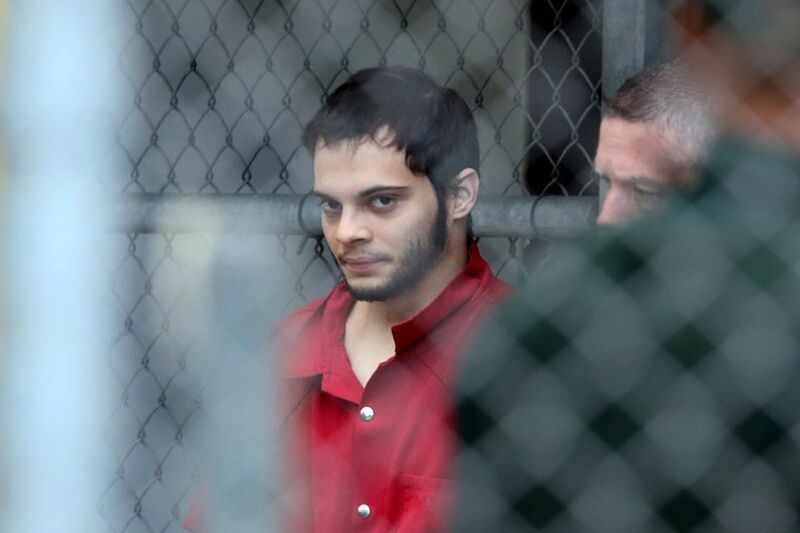 Federal court documents say Santiago, 26, retrieved that case at the international airport in Fort Lauderdale, Florida, after arriving the next day. He carried it into a nearby men's bathroom, took out his Walther 9mm semiautomatic handgun in a bathroom stall, loaded the gun and stuck it in his waistband. He then left the men's bathroom and "shot the first people he encountered," said the affidavit filed in U.S. District Court. Santiago, a former member of the Alaska Army National Guard, is accused of killing five people at the airport's Terminal 2 baggage claim Friday afternoon, and wounding more. Newly arrived passengers were crowded in the baggage claim area, retrieving their luggage, when Santiago started shooting, the affidavit said. What motivated Santiago to open fire remains unknown, but Alaska law enforcement officers said he was recently delusional. At a news conference Saturday, they reported that Santiago had entered the FBI Anchorage office on Nov. 7. He said he had "terroristic thoughts and believed he was being influenced by ISIS," Anchorage Police Department Chief Chris Tolley said at the news conference. About two months later, on Thursday, Jan. 5, Santiago showed up at the Anchorage airport. He had a one-way ticket to Florida. Jesse Davis, chief of the Anchorage airport police and fire department, said in an interview Monday that Santiago checked in at 5:23 p.m. Thursday for his flight on Delta Air Lines. His flight to the Minneapolis-Saint Paul International Airport on the way to the Fort Lauderdale-Hollywood International Airport was scheduled to depart more than four hours later, at 9:52 p.m.
Davis said Santiago brought no carry-on luggage and had no bags to check, except for a single handgun case — no larger than a laptop case. He said that did not create concern at the airport. "It's not our business whether they travel with a suitcase or not," Davis said. "A single passenger coming with no luggage wouldn't necessarily be unusual." 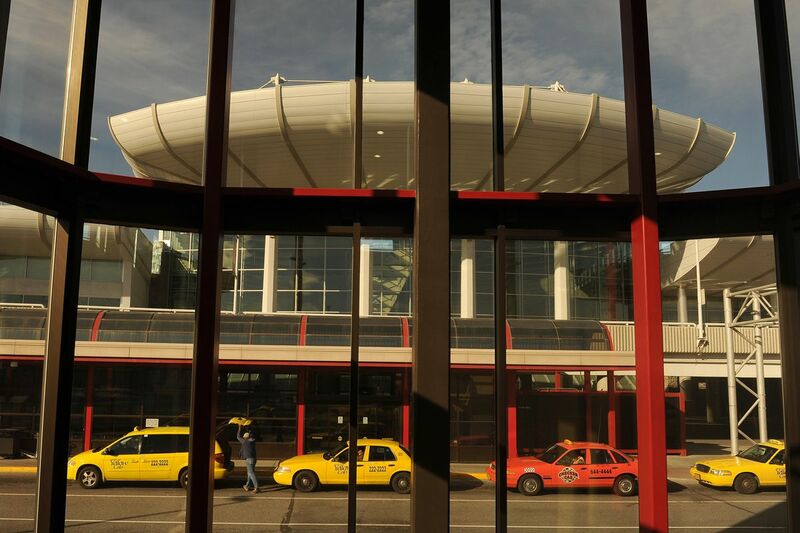 He said the airport police and fire department was not alerted about Santiago Thursday. He said the department is often called when people do not declare or properly package their guns, but "we don't get called for every single gun that goes through." Davis said Santiago "didn't draw attention to himself" at the Anchorage airport. He said he only learned about Santiago's hours spent waiting there by speaking with Delta Air Lines and reviewing surveillance footage after the shooting. Davis said the airport police and fire department was working with the FBI to determine what Santiago did in the Anchorage airport Thursday evening. The FBI is leading the investigation. John Parrott, Anchorage airport manager, said in an email Monday that he was out of state, but had not heard of anything out of the ordinary Thursday at the Anchorage airport, of which he said about 10,000 to 12,000 people pass through each day. "By the accounts I have heard it was just another Thursday evening at ANC," Parrott said. Lorie Dankers, a spokeswoman with the Transportation Security Administration, declined to say Monday whether Santiago raised any concern among TSA employees in Anchorage. She said law enforcement would have to address questions about the case. The TSA allows people to transport unloaded firearms in a locked, hard-sided container as checked baggage on flights. During check-in, a passenger must go to the airline ticket counter to declare firearms, ammunition and firearm parts, according to agency rules. Dankers said that "by all accounts, (Santiago) did follow those rules" when he declared his gun. Santiago told law enforcement in an interview after the shooting that he had planned the attack in Fort Lauderdale, the affidavit said. He bought a one-way ticket from Alaska to Florida and checked a bag that carried the semiautomatic handgun and two magazines, it said. Law enforcement declined to say Monday whether the gun used in Florida was the same gun that police took from Santiago in November after he told the FBI in Anchorage that his mind was being controlled by a U.S. intelligence agency. Staci Feger-Pellessier, an FBI spokeswoman in Anchorage, declined Monday to provide the make and model of the gun returned to Santiago a month later, saying the information was part of the ongoing investigation. She referred questions about the shooting to the FBI in Miami. Jim Marshall, spokesman at the FBI's Miami division, said in an email Monday that the agency was not commenting on the investigation, and "as a matter of policy, the FBI does not discuss ongoing investigations." According to the affidavit, Santiago — using the gun flown from Anchorage to Fort Lauderdale — fired about 10 to 15 rounds of ammunition starting about 12:56 p.m. Friday at the busy airline baggage claim, "aiming at his victims' heads." He emptied one magazine and then loaded another. "Moments later," a Broward County Sheriff's Office deputy approached Santiago and Santiago dropped to the floor. He dropped the handgun on the ground in "lock-back," the affidavit said, meaning all the ammunition he had from Alaska had been fired.